Old black and white and sepia photos are so fun to look at...it's like going back in time! 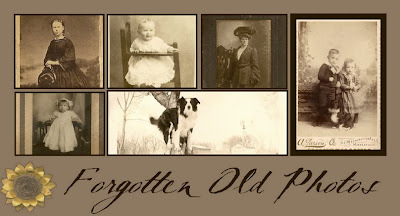 There are many blogs devoted to this collecting past time...they are even reuniting the photos with their families! It's a wonderful feeling to see where we come from...the hard working, striving people from a hundred years ago. Have a peek and see if you recognize anyone! NOTE: Don't forget voting ends tonight for Round One, and Round Two starts tomorrow! Vote for your Top Blog of 2010!